We previously reviewed the actions of the NSA's advanced surveillance techniques on your organization's data here and here. The consensus at the time was, while off-putting on many levels, the NSA's intrusion into your and your company's digital realm hasn't actually done anything to endanger you or your business. But while these actions haven't had a direct impact, their indirect impacts could be severe. More to the point: if the United States' international relations continue to sour as surveillance and spying evidence continues to pour out, angering enemies and allies alike, political landscapes will change to affect trade. In some instances, this is already happening. 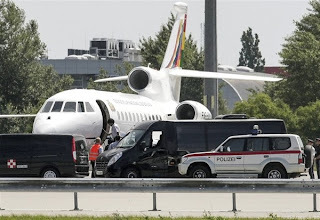 You may have seen the news earlier in the week that the plane carrying Bolivian President Evo Morales was forced to land in Vienna, Austria, after rumors that NSA leaker Edward Snowden might be on board caused France and Portugal to deny the plane access to their airspace. The move sparked a slew of angry remarks from leadership across Latin America, who allege the behavior of the U.S. and Europe in the wake of the information leak reeks of "colonialism." Central and South America have been fruitful venues for nearshoring over the past decade, allowing companies with manufacturing in traditional low-cost production hotbeds like Asia to move production closer to the U.S. while benefiting from similar landed costs and increased intellectual property protections. Latin American administrations, however, have stepped up their anti-capitalist rhetoric in the past few years, initially bolstered by Hugo Chavez but now much more independently. Following the plane stop, which many leaders have attributed as actions by France and Portugal ordered by the U.S., we can likely expect this rhetoric to continue. Rhetoric on its own isn't a bad thing. Or, at least, it isn't a hindrance to free trade. The more troubling news came as newspaper reports provided evidence of U.S. surveillance on key European allies and European Union facilities. This ally angering news hit as the U.S. and the E.U. were planning a trans-Atlantic free-trade agreement similar to NAFTA, causing France to propose delaying the talks until in-depth details on the surveillance tactics were detailed. According to the NY Times in the above-linked article, Germany is reportedly in discussions with the Obama administration to orchestrate high-level meetings where these details can be discussed, but the trade discussions are firmly on hold until such a meeting occurs. We are still in the very early stages of this scandal, which is already on its way of becoming an international incident. The full impact of this surveillance activity is yet to be seen, so all anyone can do now is speculate. The suspension of trade talks, however, is rarely a good sign and the cost of trade will undoubtedly change in the face of decreased free trade zones and worsened relations. If these countries, including some very good allies, decide that, like the U.S., hacking is an act of war, then the situation becomes much more dire. A good procurement department is always braced for change. If your organization hasn't, now might be a good time.